Named in antiquity from the Greek “pyr” for “fire”, because sparks flew fly it when hit with another mineral or metal. 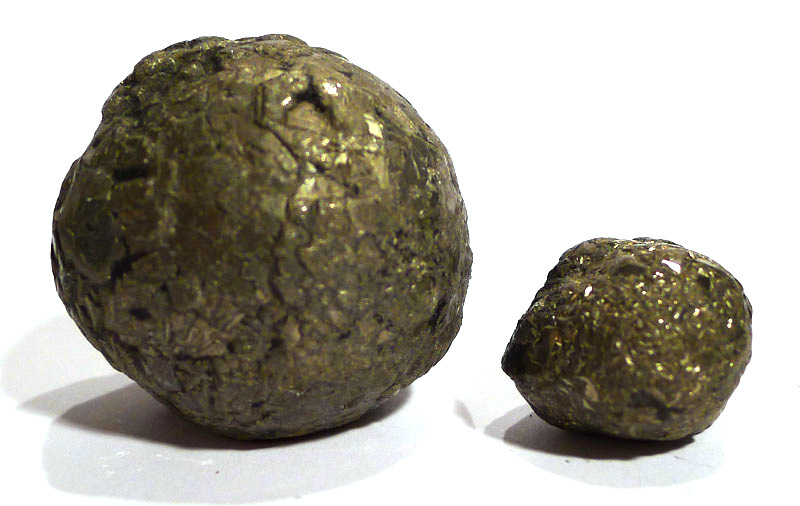 Commonly known as “fool’s gold”, pyrite is an iron ore with a brassy, metallic appearance. Crystals often form as nearly perfect cubes, but can also display more complex variations of the Cubic System. 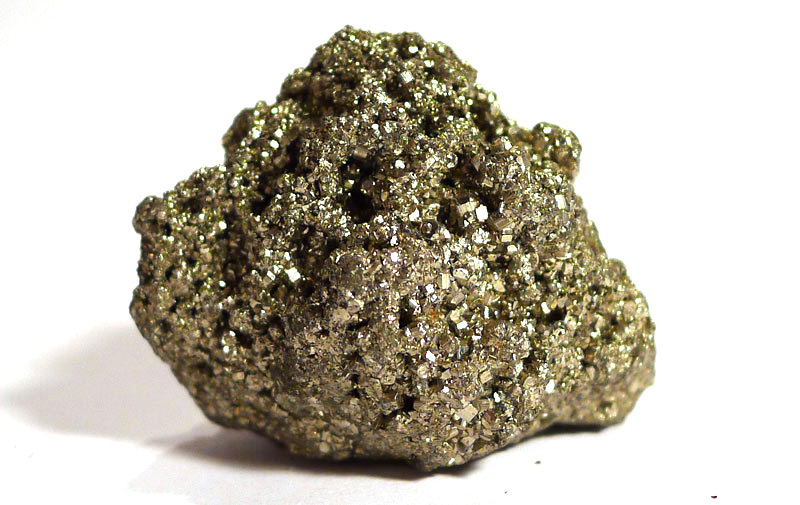 Properties: Pyrite means “fire stone” as it creates sparks when struck, and has been used for thousands of years as a means of starting fires. Historically it was considered a magic stone and a stone of protection in many cultures, and was worked into amulets. It encourages self-realisation, showing us both our light and dark sides. It is also useful in clarification, on both emotional and diagnostic healing levels, and for uncovering suppressed memories. It is considered still to be a stone of protection, and can shield one against negative energy on many levels. 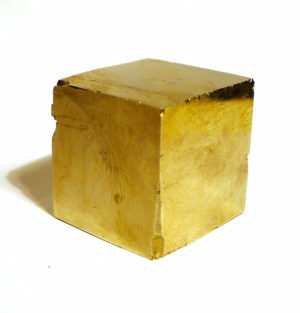 As the crystal forms cubically, it can also be used as a grounding stone (the cube being a symbol of Earth in Sacred Geometry). Many believe it bestows the blessing of abundance. 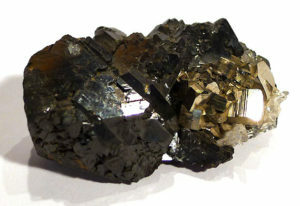 Pyrite reacts with water, and should not be used in the direct method of gem essence preparation.